Well hi there! Long time no talk! This poor blog might have fallen forever into the dark abyss of the internet if not for a sweet gal named Beth from designPost Interiors. She had already asked me to be a part of her DIY Summer School before life spiraled out of control, and you should know this about me...I have a super hard time saying no. Especially when the words "IKEA hack" and "challenge" are thrown around. I honestly don't know what the future holds for this blog. It's been such an astounding journey, I'm not ready in my heart yet to say goodbye! But I also have a hard time justifying the time commitment of a regular blog schedule when there are so many other pressing obligations. For now, I've got a fun summer of posts planned, and we'll see what comes in the fall. 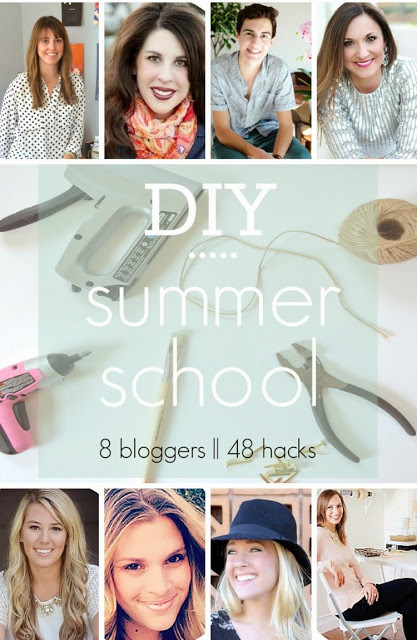 I'll be doing this DIY series with Beth, a fun giveaway with Caitlin Wilson Textiles (!!!) and a peek into how I'm learning to organize my life and time with the help of a professional organizer! I hope you'll enjoy following along. 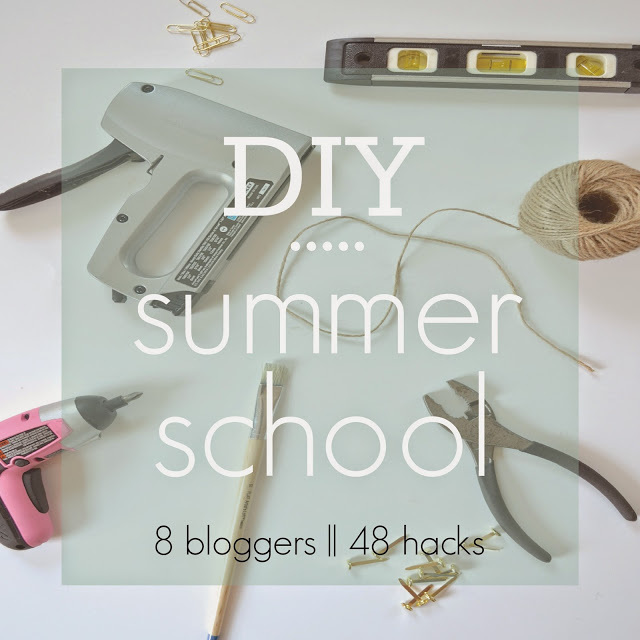 Starting tomorrow, a group of bloggers and I are going to bring you two projects per month, all summer long, with some of our favorite DIY's and hacks. Every time there will be a different theme, and we're starting with...you guessed it, "IKEA Hack." Pretty cool huh? And if you want to join in, there will be a link-up for bloggers, and anyone can post to Instagram with the hashtag #DIYSummerSchool. I'll see you back here for the kick-off in the morning!